Story-driven, fast-paced stealth/action game, Serial Cleaner, coming to us from iFun4All , has a new PAX West trailer to show off! The game is coming to PC, but no release date has been announced yet. Serial Cleaner with a brand new trailer! Serial Cleaner is a story-driven, fast-paced stealth/action game, characterized by a 1970s theme and aesthetics. The protagonist cleans up murder scenes by disposing bodies, covering up blood stains and hiding murder weapons and other incriminating evidence. The game is being made by a small, indie development studio iFun4All S.A., located in Krakow, Poland. Exploring, experimenting and fast paced decision making are the key words here. Getting caught and questioned would put a black mark on the protagonist’s career and the environment is often crawling with itchy-fingered police officers accompanied by nosy bystanders. The game uses Real-World Data to modify gameplay according to the time of day in player’s location. Serial Cleaner takes a humoristic, slightly macabre approach to its subject matter, and doesn’t treat itself too seriously. Just take a look at the protagonist. He is a 30-ish man with a sharp sense of style and an iconic 70s look, complete with a moustache, large sunglasses, and tight pants. 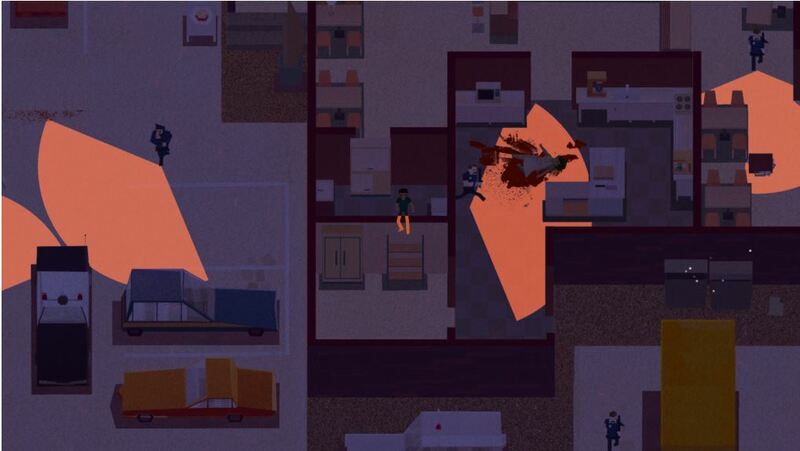 Serial Cleaner was one of Polish games, which appeared at PAX West 2016 in Seattle. Hundreds of visitors were able to play four levels of the game and check the unique, original visual style of the game, as well as Serial Cleaner’s challenging mechanics. Serial Cleaner will be launching on PC. There’s no estimated date of release yet. – just take a look at that art style! iFun4All is an indie studio, located in Krakow, Poland. It was founded in 2009. Until today we have made couple of games and our two latest titles: Red Game Without a Great Name and Green Game: TimeSwapper launched on PC, PS Vita and iOS.